Amber color. Oaky aromas of vanilla yogurt coated nuts, antique furniture, lemon and almond oils, char-grilled white corn, and poppyseed with a slightly chewy, vibrant, dryish medium-to-full body and a hot, appealing, long salted sourdough bread, buttercream, and plums in syrup finish. A dry and leathery Taiwanese whiskey for exotic cigar pairings. Bottom Line: A dry and leathery Taiwanese whiskey for exotic cigar pairings. 85 • Kavalan Sweet Cream Liqueur 17% (Taiwan) $21.00. 93 • Kavalan Concertmaster Port Cask Single Malt Whisky 80% (Taiwan) $99.99. 94 • Kavalan Sherry Oak Single Malt Whisky 92% (Taiwan) $149.99. 90 • Kavalan Classic Single Malt Whisky 40% (Taiwan) $89.99. 89 • Kavalan Concertmaster Port Cask Single Malt Whisky 40% (Taiwan) $99.99. 93 • Kavalan Solist ex-Bourbon Single Cask Strength Single Malt Whisky 58.6% (Taiwan) $159.99. 97 • Kavalan Solist Oloroso Sherry Single Cask Strength Single Malt Whisky 57.1% (Taiwan) $179.99. 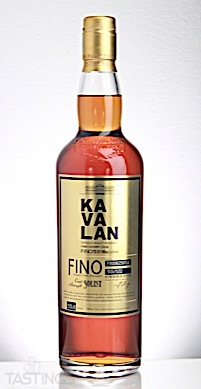 95 • Kavalan Solist Fino Sherry Single Cask Strength Single Malt Whisky 57% (Taiwan) $469.99. 93 • Kavalan Solist Vinho Barrique Single Cask Strength Single Malt Whisky 56.3% (Taiwan) $199.99. 88 • Kavalan Podium Single Malt Whisky 46% (Taiwan) $119.99. 92 • Kavalan Distillery Reserve Peaty Cask Single Cask Strength Single Malt Whisky 57.1% (Taiwan) $69.99. 93 • Kavalan Distillery Reserve Rum Cask Single Cask Strength Single Malt Whisky 57.8% (Taiwan) $69.99. 92 • Kavalan Solist Brandy Single Cask Strength Single Malt Whisky 59.4% (Taiwan) $179.99. 95 • Kavalan Solist Port Single Cask Strength Single Malt Whisky 58.6% (Taiwan) $299.99. 94 • Kavalan Solist Amontillado Sherry Single Cask Strength Single Malt Whisky 57.1% (Taiwan) $599.99. 92 • Kavalan Solist Manzanilla Sherry Single Cask Strength Single Malt Whisky 58.6% (Taiwan) $599.99. 94 • Kavalan Solist Pedro Ximénez Sherry Single Cask Strength Single Malt Whisky 55.6% (Taiwan) $699.99. 96 • Kavalan Solist Moscatel Sherry Single Cask Strength Single Malt Whisky 56.3% (Taiwan) $599.99. 92 • Kavalan ex-Bourbon Oak Single Malt Whisky 46% (Taiwan) $124.99. 93 • Kavalan Oloroso Sherry Oak Single Malt Whisky 46% (Taiwan) $149.99. 94 • King Car Conductor Single Malt Whisky 46% (Taiwan) $119.99. Remarkably constructed in only 9 months in 2015, the Kavalan distillery is Taiwan's first whisky distillery. 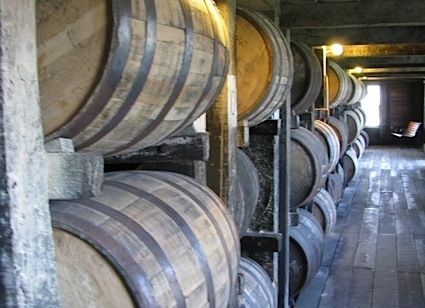 Despite their relative youth, the malt whiskies made at Kavalan are amazingly flavorful, complex, world-class spirits—modeled after Scottish single malts—that are a product of ingenuity, Scottish tradition and ingredients, and the unique tropical Taiwanese climate that accelerates the aging process. Kavalan Solist Fino Sherry Single Cask Strength Single Malt Whisky rating was calculated by tastings.com to be 95 points out of 100 on 7/31/2018. Please note that MSRP may have changed since the date of our review.